Home / Cassper Nyovest / Celebrity / Shamiso / 26 Year-old Cassper Denies Ever Having 19 year-old Shamiso As His ‘Stocko’! 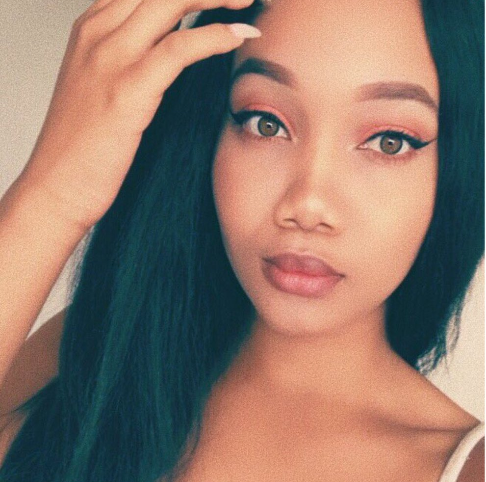 26 Year-old Cassper Denies Ever Having 19 year-old Shamiso As His ‘Stocko’! 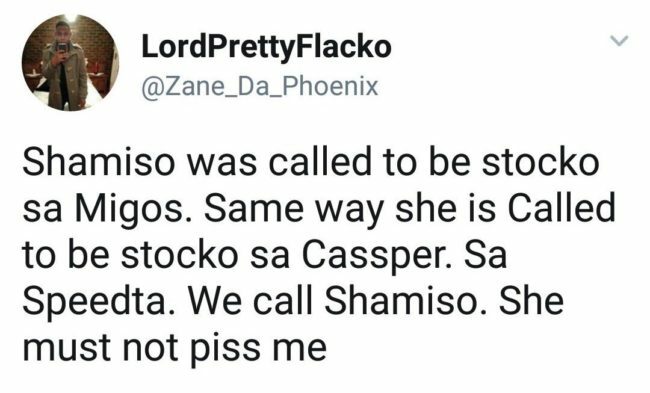 Cassper Denies Ever Having Shamiso As His ‘Stocko’! A twitter user went on a rant over how Shamiso [Azania’s 19 year old daughter] was asked to be a ‘stocko’ for American hip hop group Migos during their SA tour, Jo’burg leg. The promoter known as Zane went as far as revealing other celebs whom Shamiso has allegedly been a ‘stocko’ for. From Trey Songs to DJ Speedsta and Cassper Nyovest. In response, after fans asked him to confirm or deny the reports, Cassper finally took to twitter to set the records straight. “Not guilty Advocate!!! I actually said stocko sa Lekgowaaaaaa!!! Emphasizing the last letter on the word gave it “That Thing” you know,” Cassper responded.